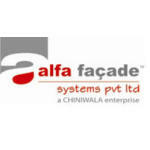 Our company is one of the leading brands in security doors (steel) in india. We have been catering to every section of society for good many years, and have become customer’s obvious choice over the years, and continue to be one of the most trusted name in door industry. 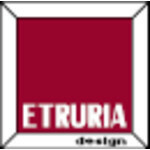 We supply doors to whole salers, retailers, builders, hotels, malls, show-rooms, homes, shops, restaurants, across india. 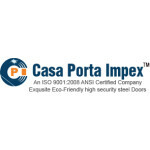 Our company, casa porta impex is one of the leading importers of steel doors in india. We offer wide range of choices, steel doors, aluminium bathroom doors, pvc doors, and wooden doors (only on special order). It is our constant endeavour to become customer’s obvious choice by providing complete solutions of doors and windows at his door-steps, through innovative, reliable and high quality services. We firmly believe that customer is not only the king, but also the ultimate judge. Therefore, we hold him in high esteem and know that he deserves the best. Hence, we are committed to provide him a hassle-free service. At the same time, we would like to grow at a steady pace to a position of strength and prominence in our areas of operation. 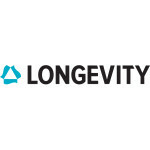 Our mission to act decisively and on time. to think with clarity and courage. to achieve goals with confidence. to secure your home and protect the environment. it is a common knowledge that deforestation and reckless felling of trees, is rampant across the world, thereby, causing colossal damage to the environment. As things stand to-day, it is very unlikely that we might leave this green planet, liveable, for our coming generations. It is our sincere hope, one day, we won’t have to say to our children that there used to be trees on this earth, but, now we get oxygen from newly invented tech-trees, as trees have vanished, just as dinosaurs. This is precisely the reason that our company, casa porta impex, has introduced exquisite high security steel doors, to secure your homes, shops, offices, clinics, business-establishments, work-places, banks etc. These doors are, sturdy, anti-burglary/theft, anti-rust, fire-resistant, and come with 10 unbreakable locks, 7, computerized keys and manufactured with, ‘’state of the art, ‘’technology. Blue Ridge Fiberboard, Inc. is committed to providing architects, engineers and contractors with the best quality products possible. Under the Blue Ridge Fiberboard, Inc. banner, Celotex® products such as Structodek® roofing insulation board, SoundStop® fiberboard panels, SturdyBrace® structural wall sheathing and VersaKor® all-purpose fiberboard will continue to offer building professionals the same uncompromising performance they have depended on in the past. Blue Ridge Fiberboard has the largest available selection of fiberboard products, serving manufacturers of bulletin boards, dry mark and magnetic boards, office partitions, laminated furniture and packaging. It is the mission of Blue Ridge Fiberboard to not only offer a superior product at a reasonable price but to continue the past tradition of reliability into the low-slope roofing market. In addition to being nationally available, Blue Ridge Fiberboard fiberboard products are earth-friendly, contributing toward the vast criteria set for green building. 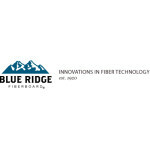 Blue Ridge Fiberboard products are manufactured using wood fibers using an environmentally friendly process. 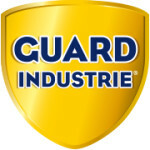 At Guard Industrie, we make ecological and innovative products to preserve houses and buildings’ beauty and heritage. Our large range of products allows us to connect with a variety of clients, whether they’re individuals or professionals: handymen doing landscaping or interior redesign, craftsperson, architects, manufacturers but also stone, concrete and construction materials industrial. We have been experts in the care of materials for almost 30 years. Limestone rock, marble, granite, slate, tile, concrete, cement, tiling, bricks, terracotta… We’ve unlocked the secrets to cleaning and protecting mineral surfaces. TerraMai began, like many start-ups, with faith in a crazy idea. In 2002, TerraMai co-founder Ken Westrick was on sabbatical from the frenetic world of Silicon Valley. As often happens when we let down our guard and free our mind, a great idea formulates. While road tripping through Montana, Ken kept noticing rundown old barns and fences. It wasn’t the dilapidated structures that caught his eye, as much as the wood those structures were built from. The weathered patina of the wood was beautiful, varied and seasoned from decades of sun, wind, rain, and snow. Ken began to wonder if there was a way to salvage the wood from these old barns and repurpose it as siding and interior paneling, all the while maintaining its beautiful weather-worn patina. Ken loves a challenge. He dove in seeking out information and like-minded soulmates. Ken teamed up with some early trailblazers just beginning to hunt for reclaimed teak and other tropical hardwoods in Asia, where Ken had roots and connections going back to his high school years in Hong Kong. From these early seeds, TerraMai sprouted. There were many starts and stops along the way - but mostly starts. 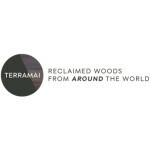 TerraMai grew from an idea into the leading reclaimed wood brand in the industry. TerraMai has achieved this by listening to our core customer – architects and designers. They are our inspiration. By continually listening to designers - understanding their needs and providing them solutions and tools - TerraMai has lead the transformation of reclaimed wood from a novelty material into a go-to standard for designers everywhere. When TerraMai started nearly 20 years ago, few people knew the term reclaimed wood, even among professional architects and designers. At that time, the reclaimed wood industry consisted of only a handful of mom-and-pop businesses catering to local homeowners and builders. TerraMai took a different path. From our early days, we sought to align ourselves with architects and designers. They appreciated the beauty of the material. And just as importantly, the potential. Plus, they were simply fun and interesting to work with. Today, TerraMai works and collaborates with top design firms throughout the county. Our project list now includes familiar names like Google, Facebook, Marriott, Hilton, Williams-Sonoma, REI, HBO, Disney, the San Francisco 49s, the Seattle Seahawks, McDonald’s, Starbucks, Stanford University, the University of Michigan, the City of New York, the White City Fire Department – to name just a very few. It wasn’t easy. But it’s been gratifying. Of all TerraMai’s accomplishments, transforming a funky material once deemed fit for only off-beat home projects into one of the most highly prized and versatile materials across all segments of the design and building industries has been the most satisfying. At the heart of it all has been a pioneering spirit and a commitment to customer experience. 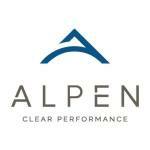 Our national sales team is here to be your partner. We’re here to share the soul and story of this wood while ensuring it delivers on the look, quality and performance demanded on the highest-profile commercial projects and also your project, however big or small. Teamwork Glass – provides complete end to end solutions – from design, engineering, fabrication to the installation of glass and aluminium products for both interior glass as well as exterior façade applications. Armed with a team of skilled professionals and industry’s best practices, we provide personalized solutions to our clients from residential and commercial sectors. We work with our clients at every stage of the project and ensure perfect translation of their ideas and needs.Teamwork glass offers architects, specifiers, investors, corporates, developers and home-owners India an extensive range of innovative, reliable, high performance and aesthetically pleasing aluminium and glass systems for curtain walling, facades, doors, windows, skylights, railings and building integrated cladding materials. All these products will be available in anodize and powder coat finishes. 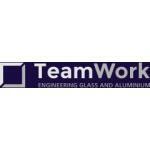 Teamwork glass is one of the largest suppliers of aluminium and glass systems provider in India. Our in-house glass processing, fabrication and glazing plant and dedicated staff helps us facilitate a wide range of products at competitive prices without compromising on quality. We take part in every stage of the glazing process – From manufacturing the material through to installing and watching our glass come to life. This is why our love for glass permeates through everything we do. Our Vision To be an innovation driven and best customer service company that provides design, build, and maintenance of glass and aluminium products. 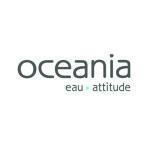 And to envision the usage of our glass in extraordinary ways in the places we live, eat, travel, bath, work and play. Our Mission To achieve international standards in providing glass and aluminium based solutions that provide structural integrity as well as high aesthetic value. We follow the philosophy of continual improvement and strive to adhere to our core values of Quality, Honesty and Flexibility. Euro-Locks SA NV is part of the Lowe & Fletcher Group, specialising in lock design, manufacture and supply. 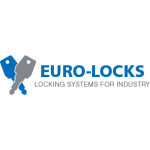 We supply locking solutions to a range of sectors internationally, including: Automotive Manufacturing facilities Postal Healthcare Leisure Education With safety and security at the heart of what we do, Euro-Locks provides trusted locking solutions. Our lock manufacturing facility based in Bastogne, Belgium, boasts a spectrum of locking solutions – from office furniture locks through to advanced electronic locking systems. We also design bespoke solutions where necessary to meet the exact requirements of our customers. As part of the long-term family owned Lowe & Fletcher Group, we design and make innovative, bespoke and well-engineered Locking Systems for Industry. We aim for profitable growth by meeting the needs of our customers. 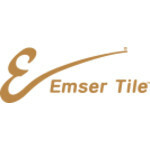 Established in 1968, Emser Tile, headquartered in Los Angeles, is the leading designer, marketer and producer of the world’s finest tile and natural stone. By offering unparalleled service and a dynamic selection of products, Emser is one of the most comprehensive sources for interior and exterior products that include porcelain, ceramic, metal, glass, quarry, decorative accents and mosaics, cut-to-size stone, setting materials, and custom manufactured products made to your specifications. Emser products are designed for both residential and commercial projects. Emser’s nationwide locations plus three, state of the art distribution centers and over 2.5 million square feet of warehousing space, combine national presence with local service. This allows us to respond to the changing trends and technology. Jindal Mechno Bricks Pvt Ltd is a leading manufacturer of machine made bricks, unglazed ceramic cladding tiles, brick pavers & hollow blocks. 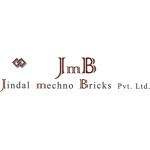 After manufacturing handmade bricks since 1972, Jindal Mechno Bricks Pvt Ltd, an IS0 9001 : 2008 certified company, was founded by Late Shri HansRaj Jindal & sons in 1996 to manufacture machine made bricks which are ideal to be left exposed, need not be plastered or painted. Today, bricks and related products are manufactured using both technologies of press and extrusion. We are using the latest European machines & technologies and raw materials are thoroughly tested and processed in a systematic way so that the finished products have the best quality. With the firing capacity of 200 ton per day, our production capacity & product inventories are sufficient to cater projects requiring large quantities. JMB has catered to many large scale projects. To name a few, we have supplied bricks to the Sharda Group of Institutions, Greater Noida, HCL, ERA, Ansal Housing, India Habitat Center and many more. At Jindal Mechno Bricks, we understand that architects and designers have design visions which sometimes require customized sizes, shapes, curves and colours. In past, we have worked closely with architects to understand their design requirements and match it with the scope of customization to deliver the best possible options. Clay is one such material which can be shaped in numerous ways and we love taking challenges to experiment with the scope of customization. 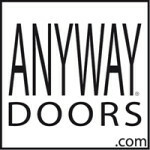 Anyway Doors was founded in 1995 and has been studying the characteristics and applications of modern interior doors since then. Not only are doors the most used building element in any residential construction, they also cover a fair percentage of the wall surface area. All the more reason for our clients to pay extra attention to doorways. From the start ‘re-inventing the door’ was our mission and aspects such as insulation, ventilation, privacy, maintenance, materials and durability are important considerations in this engineering process. After numerous technical improvements, we are able to provide a smart door concept that is dateless, attractive and offers solid added value to your home and living comfort. With their minimalist design, ANYWAY customized interior doors distinguish themselves in more than 20.000 residential projects in the Benelux area. Kartikeya Industries Private Limited is a new born entity, established in the year 2013 with group of Technocrats having vast experience in Cold Forming, Light Engineering Fabrication and Trading. It is situated at Mominpet near Sadashivpet, Hyderabad, Andhra Pradesh. Kartikeya is equipped with state of art machinery for the manufacture of intricate profiles for variety of applications. The products are manufactured in conformity with Indian and International Standards.Kartikeya has engineering and design capabilities to reach new frontiers of technical excellence coupled with committed high degree of service and quality. Kartikeya has built a capacity to deliver 20000 MT per annum of Cold Forming Sections and Light Engineering Fabricated Structures. Kartikeya has envisaged entering Non-Ferrous Metals and Steel making Ingredients which will form a perfect product mix and help in moving up the value chain in the coming years. Kartikeya installed latest roll forming mills along with fabrication equipment with a capacity of 20,000 MT / Annum and can cater variety of cold formed sections and light fabrications ranging from 0.4 mm to 6 mm. The factory is built on 13 acres of land with state of art facilities. Each department is headed by experienced personnel to meet the stringent quality parameters and service the products in time. 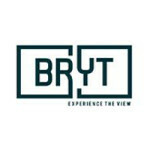 Established by Bharat Bhushan Yadav, BRYT Windows has proved to be a milestone to provide you the best solutions to enhance your living space at affordable prices. Our client-centric approach has helped us in building a reliable customer base. With a vision to be the leading manufacturer in upvc doors and windows market, we have combined advanced technology with high-tech machineries to ensure maximum satisfaction to our customers. We also provide installation service to our clients and our consultants offer full support in providing the required technical support to them. We also offer servicing facility to our customers and guarantee them replacement of spare parts. Our team of highly-skilled technicians caters to the needs of our customers. 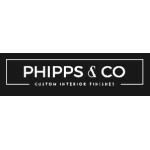 We offer a wide array of tailor made contemporary design to suit your requirements and specifications. Our special building concepts take care of the relevant international standards of the manufacturing process. Taking into consideration style, elegance and innovation, we strive hard to stand up to the expectations of our customers at all times. With the help of state-of-the-art technology and hardworking team of dedicated professionals, we maintain a perfect equilibrium between energy efficiency and an easy living. Choose from our extensive collection of stylish doors and windows to add a touch of personalized styling in your living space or offices. Our product range boasts of wide variety of casement doors and windows, sliding doors and windows and combined doors and windows. Give us a chance to serve you and let you take back home an enriching experience. DAMS Incorporated – D. Architectural Metal Solutions Inc. is a custom Architectural Metal Fabrication solutions company specializing in LEED certified custom metal fabrication. 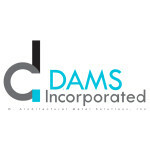 DAMS Incorporated – D. Architectural Metal Solutions Inc. specializes in manufacturing premium architectural.We are experts at creating interior and exterior architectural components to add style and accent to any structure. We work in concert with architects, interior and exterior designers, subcontractors, general contractors and project owners; acting as a consultants, designers, and fabricators of a vast array of architectural metals. DAMS Incorporated’s 28 year old brand, Doralco, has been known for its dry glazed glass door rails. The commitment to quality and service is still the driving force behind DAMS Incorporated – D. Architectural Metal Solutions Inc. being recognized as the quality and service leader in the industry. As a legendary American luxury brand, Scalamandré’s mission is to inspire interior designers with beautiful decorative textiles, wallcoverings, trimmings and furniture of the highest quality. Scalamandré’s commitment to the art and craftsmanship of its products has been the company’s hallmark, and its clear sense of integrity has produced a rich heritage of uncompromising quality and excellence. Long a destination for connoisseurs of classic design, Scalamandré’s legacy began over eighty-five years ago when Franco Scalamandré began producing silk reproduction textiles for historic properties. For many decades, the Scalamandré weaving in New York City, manufactured the finest, most luxurious and exquisitely crafted mill, based fabrics, trimmings and wallpapers for the best-dressed interiors in America. Scalamandré continues to showcase its iconic designs today, as well as exciting new introductions that reflect the most current design and color trends in modern interiors. Throughout its history and to this day, Scalamandré has been called upon by many of America’s most extraordinary properties. Historic restoration and cultural commissions number well over a thousand. Among these are The White House, the United States Capitol, United States Treasury, Monticello, Mount Vernon, Colonial Williamsburg, The Morgan Library, Wrightsman Galleries at Metropolitan Museum of Art, Isabelle Stewart Gardner Museum, Winterthur, the Mansions of Newport, Radio City Music Hall, and the Metropolitan Opera House. Additionally, Scalamandré remains the preeminent resource for America's leading designers and decorators for their most distinguished custom textile, wallpaper and trimmings projects. 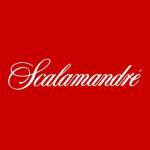 In early 2017, Scalamandré merged with Stark Fabric, operating under the Scalamandré name. In addition to continuing its eponymous brand, Scalamandré now adds to its family the prestigious Old World Weavers and Grey Watkins brands, as well as Boris Kroll. 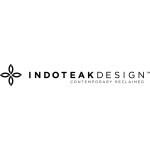 The company also represents many renowned international brands, such as Lelievre, Colony and Missoni Home. There are thirteen Scalamandré to-the-trade showrooms in major metropolitan locations, including its flagship New York location. In addition, its products are distributed around the world, through sales representatives and agent showrooms. 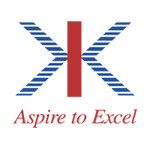 ALUPLEX started its activities in 1981, operating from a workshop in Mumbai. With constant growth and expansion through the years, the Company has transformed from a small aluminium windows contractor to a multi-national enterprise, becoming the nationwide leader in the design, engineering, manufacture and installation of architectural facade systems. ALUPLEX now employs over 300 employees, having completed over 300 projects in 20 cities. Our high distinction is represented by a strong established infrastructure of three manufacturing plants (spanning a total working area of 200,000 sq.ft.) with a total of four unitised conveyor lines (capable of manufacturing over 300 panels per day) and an in-house central design and engineering headquarters in Navi Mumbai. With constant research and development, ALUPLEX aims to continuously improve the quality and performance of its architectural facade systems. For each project, we are in close collaboration with the architects from the preliminary design stage - aiming to provide them with eco-friendly, energy saving and economical solutions and thus aiding them in realising their concepts. ALUPLEX’s interminable commitment to promote the use of eco-friendly technology in architectural facades has brought about significant energy savings to our environment, as well as a considerable betterment in the life-style of our building inhabitants. 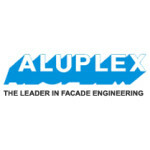 ALUPLEX also intends to establish a solid and enduring relationship with our suppliers, so as to continually increase the added value of our expertise and provide the finest quality facade at the best price. Our mission is to redevelop the design sphere by creating the most innovative curtain wall and facade engineering solutions of the finest quality for our clients. We are dedicated in continuing to broaden our international expansion while bringing out our clients foresight and ideas into reality. Schüco Group develops and sells system solutions for windows, doors, façades, sliding systems, security technology and sun shading. In addition to these innovative products for residential and commercial buildings, the building envelope specialist offers consultation and digital solutions for all phases of a building project – from the initial idea through to design, fabrication and installation. Machinery for fabrication and a 360° cycle of sustainability complement the range of products and services. 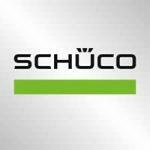 With more than 4900 employees worldwide, Schüco Group strives to be the industry leader in terms of technology and service today and in the future. To this end, the company is always developing and testing new products and services for the entire building envelope, taking account of current market trends and standards. 12,000 fabricators, developers, architects and investors around the world work together with Schüco. 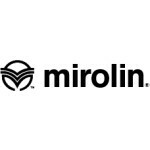 The company is active in more than 80 countries and achieved a turnover of 1.575 billion euros in 2017. 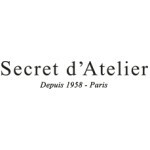 Secret d'Atelier is the first French luxury floor design house. Our Maison combines the historical know-how with today's technological innovations to conceive its custom-made creations. Our products are designed for both professionals and individuals who want to dress their floor with innovative, original and of impeccable quality flooring. The graphics, the cut, the design, the technical process and the support are the key- elements that outline our collections open a wide range of choices for you. Colors, finishes and shapes are at your disposal under the meticulous eye of our craftsmen and designers: they will help you create true works of art from the noblest materials on the market. Secret d'Atelier considers the parquet as a new form of expression of interior architecture designed to brighten up spaces of prestige: an experience allowing the floor to regain its former honored posture.As a matter of fact, we believe that the walls should no longer be seen as the only vectors of artistic creations: the floor plays nowadays a leading role in interior decoration; it metamorphoses to lay art at our feet.